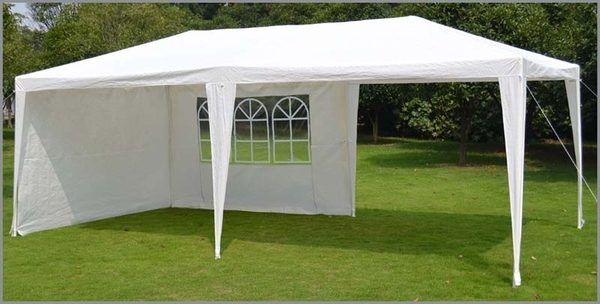 The Sunrise Umbrella 10' x 20' Wedding Party Tent is perfect for weddings, birthday parties, BBQs, carnivals, and any other outdoor event. 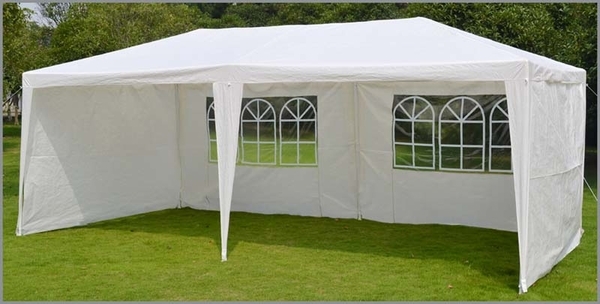 Each tent comes with detachable walls, including vintage-style window accents, so you can customize your tent to your needs. 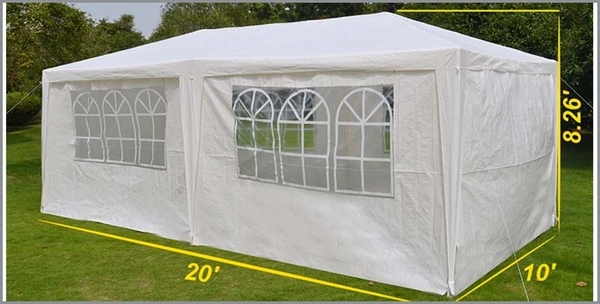 This medium-sized tent is perfect for guest tables or a commercial display - you and your guests will be protected from the elements by the waterproof and UV-resistant PE lining. 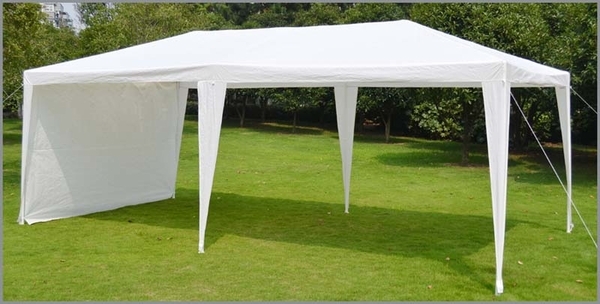 Each tent is easy to assemble - stakes and ropes are included with every tent and no additional tools are required! 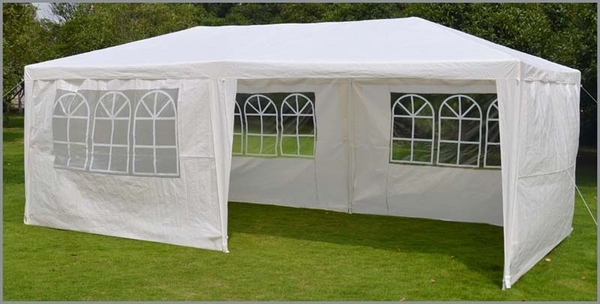 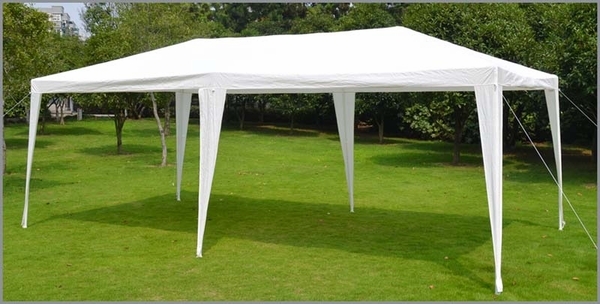 Keep your next party going no matter the weather with this sturdy outdoor tent.